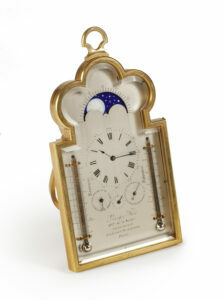 The eight-day, spring-driven movement of this miniature clock has a going train only. It has Swiss lever escapement with balance, hairspring and regulation. The movement is wound from the back with a fixed winding key. The backplate is marked Silex 193. 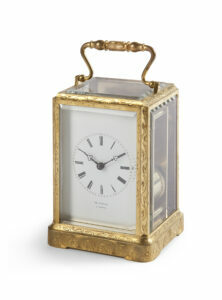 The circular silvered-brass dial has an Arabic chapter ring with half-hour divisions. The time is indicated by a pair of blued-steel hands. 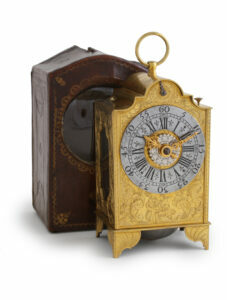 The dial is attached to the front by four screws through engraved flower-shaped lugs. The neo-gothic steel case has a door at the back, which gives access to the winding arbor and key. 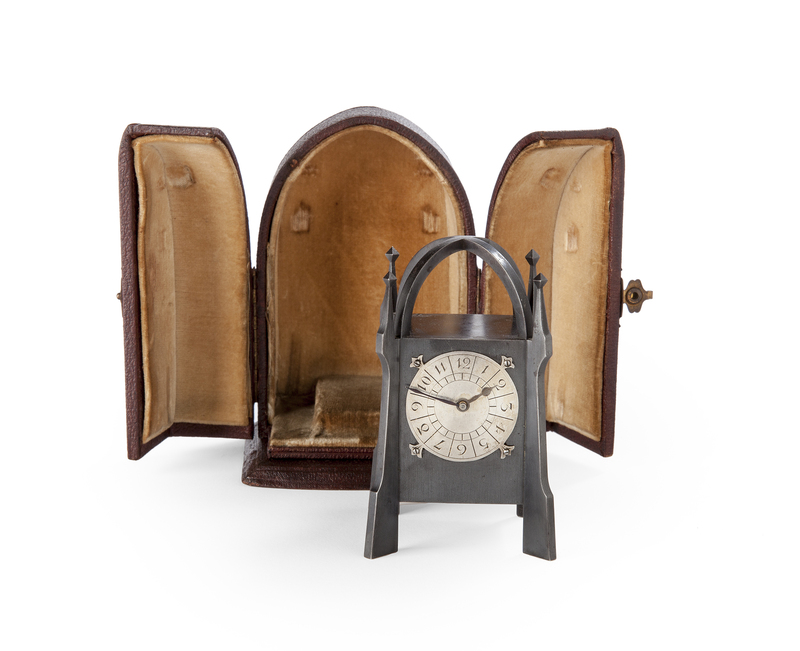 The lancet-shaped leather-covered wooden case is lined with beige suede on the inside and has a brass catch to lock it.